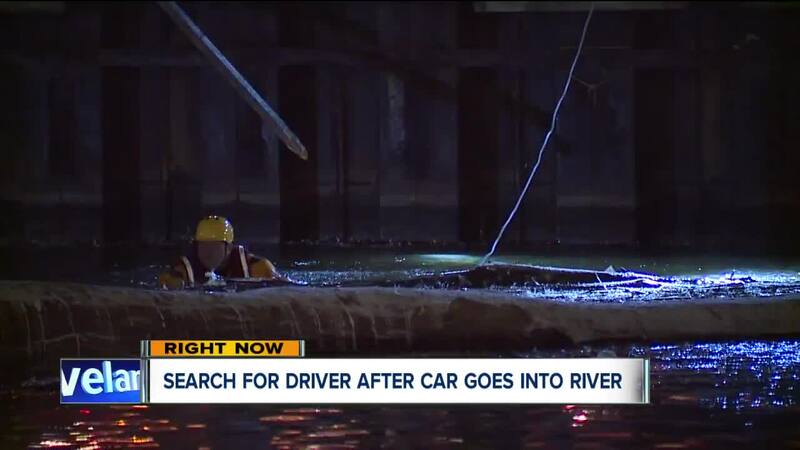 CLEVELAND — Authorities were searching for a driver who drove into the Cuyahoga River early Monday morning. 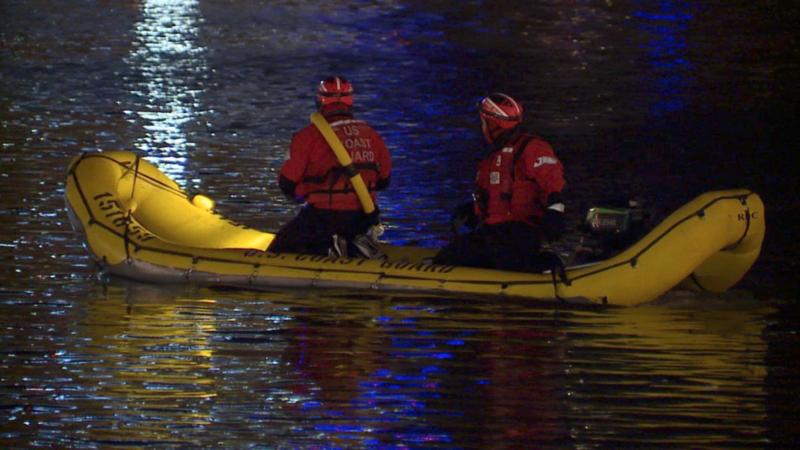 Police said he later returned to the scene and told police that nobody else was in the water. 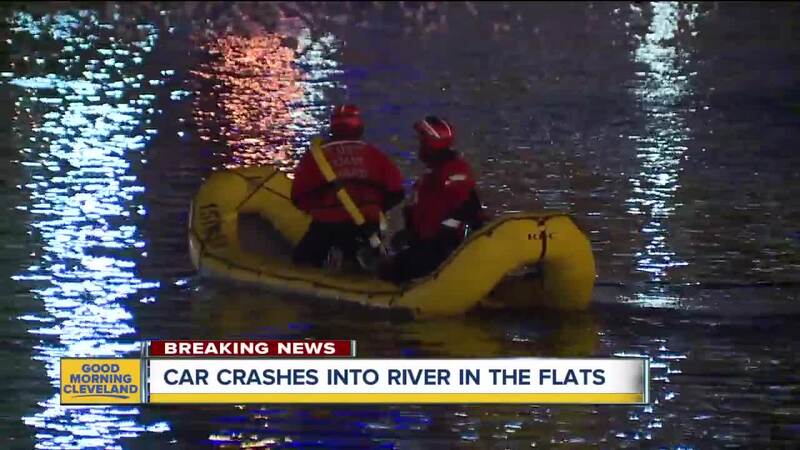 Crews were searching for the driver and the car that was heading eastbound on Elm Street and drove into the river in the Flats West Bank, according to a witness on scene. 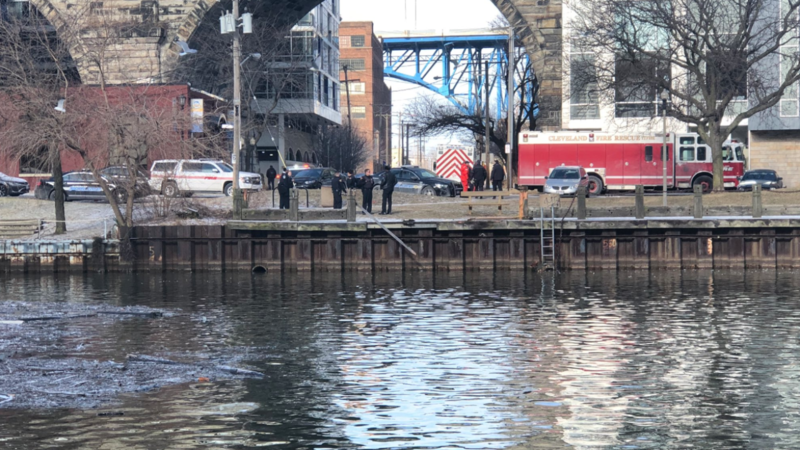 A witness said he was driving across the bridge in the Flats when he saw a car’s headlights go into the river near the Center Street Swing Bridge. 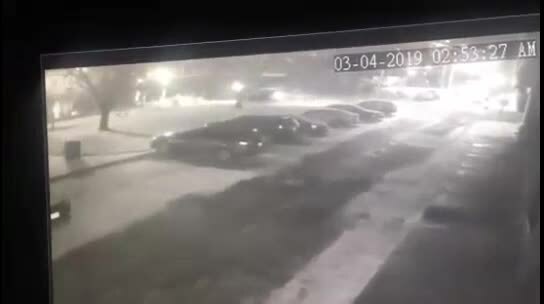 News 5 has obtained surveillance video from a nearby apartment building which shows the car careening off the boardwalk into the water. 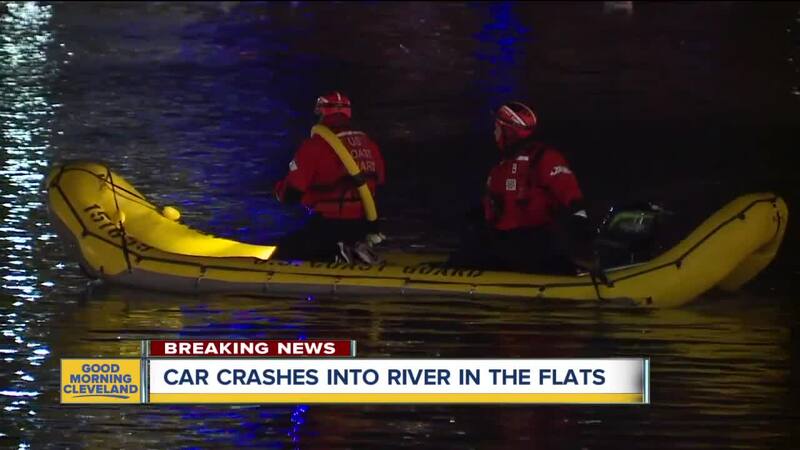 A witness called 911 ,and when he looked back at the river, the car was already submerged. 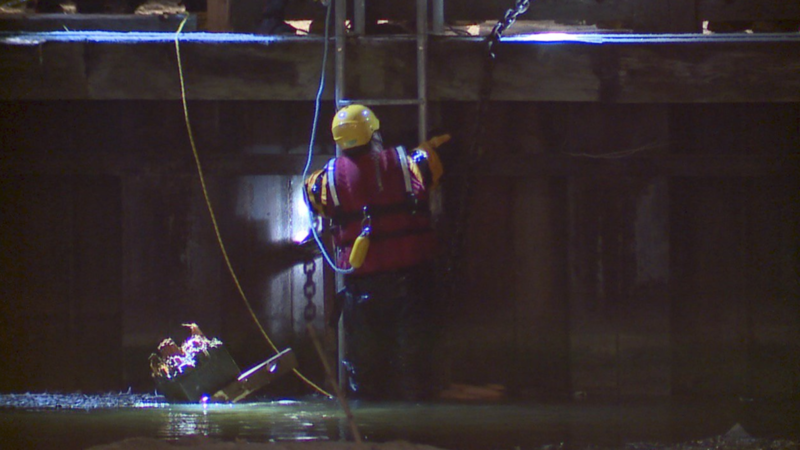 Coast guard and fire crews resumed their search for the driver later Monday morning. Police are also looking into an Instagram video which shows a middle-aged man, soaking wet, climbing out of the water and asking two bystanders for a cigarette. 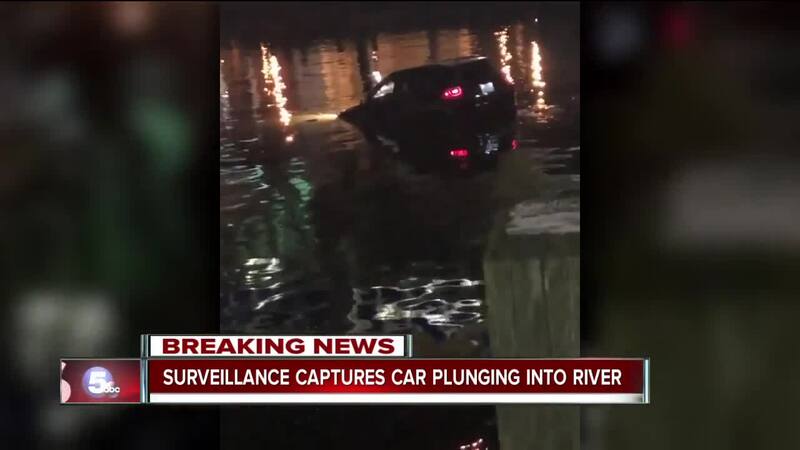 The camera pans to the river to show the car partially-submerged in the water. News 5 has asked police if they are still searching for the driver; they said they are aware of the video. WHITE RIVER JUNCTION — A 34-year-old Lebanon man has pleaded not guilty to driving while impaired by marijuana and causing a crash that killed one passenger and injured another on Interstate 91 in Norwich in September. Keith Cushman was arraigned on Tuesday in Windsor Superior Court on two felony counts — gross negligent operation with a fatality resulting and gross negligent operation with serious bodily injury resulting — that allege he was high, fatigued and speeding when he lost control of his pickup truck on Sept. 3 and caused the death of Theodore Haley III and injuries to Michelle Hayward, both 37, of Hartford. Judge Theresa DiMauro released Cushman on conditions, including that he not drive with any detectable amount of alcohol or drugs in his system. Cushman, Haley and Hayward were headed south on Interstate 91 around 4:30 a.m. when Hayward told police Cushman fell asleep and drove into rock ledges, causing the vehicle to roll over. Haley was ejected and pinned underneath the truck, causing fatal injuries, according to an affidavit written by Vermont State Trooper Jeremy Lyon. Police spoke with Cushman at the scene that morning and reported his speech was “somewhat slurred and mumbled.” An officer administered a breathalyzer to test for alcohol and it came back negative, Lyon wrote. Lyon, a drug recognition expert — an officer who is specially trained to test for impairment from substances other than alcohol — conducted a “partial” evaluation on Cushman to test for impairment and determined that he was “not able to operate a motor vehicle safely” at the time of the crash. Lyon couldn’t complete the test because of Cushman’s injuries. He wrote that he couldn’t opine on what drug Cushman was on at the time; Cushman told police he had smoked marijuana the day prior to the crash. Cushman consented to a blood draw at the hospital, according to reports, and tests showed he had THC in his system. THC is the active ingredient in marijuana that can cause various symptoms including relaxation, distorted perception and euphoria, according to the affidavit. “Although the defendant indicated he smoked marijuana approximately 22 hours before the crash, the toxicology showed consumption occurring much more recent,” Lyon wrote. Cushman later told police that Haley and Hayward were smoking in the truck with the windows rolled up, the affidavit states. Police obtained a search warrant for the vehicle and reported finding a small amount of marijuana inside it. Since the fatal crash, Cushman has been involved in a second motor vehicle crash in which police suspected he was impaired, according to an affidavit from Hartford Police Officer Sean Fernandes. On Oct. 1, Cushman allegedly crashed into a stop sign at the intersection of Maple Street and Cascadnac Avenue in Hartford and fled the scene. No one was injured. 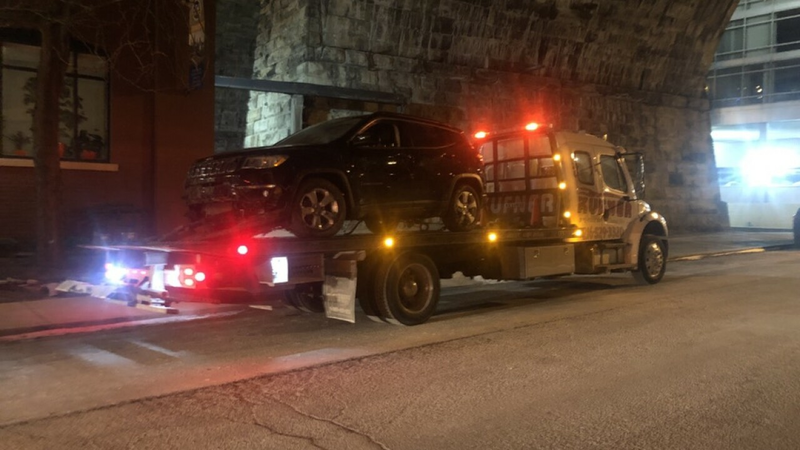 Prosecutors in that case charged him with careless or negligent motor vehicle operation and leaving the scene of the crash, two misdemeanors that he pleaded not guilty to in November. That case is still pending. Cushman’s fatal crash case highlights some of the complexities the state has prosecuting cases where a person is accused of driving under the influence of substances other than alcohol. For example, Windsor County State’s Attorney David Cahill filed gross negligent operation charges instead of driving under the influence-related offenses because of potential problems with being able to prove the latter, he said in an interview after the hearing. Both offenses carry the same penalty — up to 15 years in prison. In order to find Cushman guilty of a DUI-related charge, Cahill said he would need to prove that Cushman crashed because he was impaired, something that could be difficult with the lack of an objective roadside test that demonstrates marijuana impairment, like a Breathalyzer would for alcohol. Recreational marijuana use became legal in Vermont last July, and Gov. Phil Scott has stressed the need for a such a test. Currently, the state pairs a DRE’s evaluation with a toxicology report in court. A Michigan man is jailed in Indiana, accused of having about 100 grams of marijuana just as Michigan legalized marijuana possession. Johnathon Hulley, 39, Sturgis, Michigan, was arrested by an Indiana State Police trooper and jailed in LaGrange County on charges of possession of marijuana and possession of drug paraphernalia following a traffic stop on the Indiana Toll Road west of the Howe/LaGrange exit around 12:50 a.m. Friday. The trooper purportedly smelled marijuana, leading to a police search of Hulley’s vehicle. Approximately 100 grams of pot — or about 3 1/2 ounces — were found during the search, the ISP said in a news release. The arrest came after Michigan’s new law, allowing recreational marijuana use, took effect Thursday. Under the state law, adults ages 21 years or older can possess up to 2.5 ounces of weed. That would mean Hulley was allegedly carrying more than Michigan’s law permits. AMESBURY – A local woman scheduled to go on trial Tuesday on her third charge of driving while under the influence of drugs died the night before of an overdose inside her Macy Street apartment, according to Newburyport District Court records. Norma J. Hutchins, 57, was charged in May 2017 with OUI drugs, negligent operation of a motor vehicle and a marked lanes violation after abruptly stopping her car near Route 110 Liquors. But the night before she was to appear in court with her attorney John Bjorlie, Hutchins was found by friends unconscious and not breathing in her bathroom. 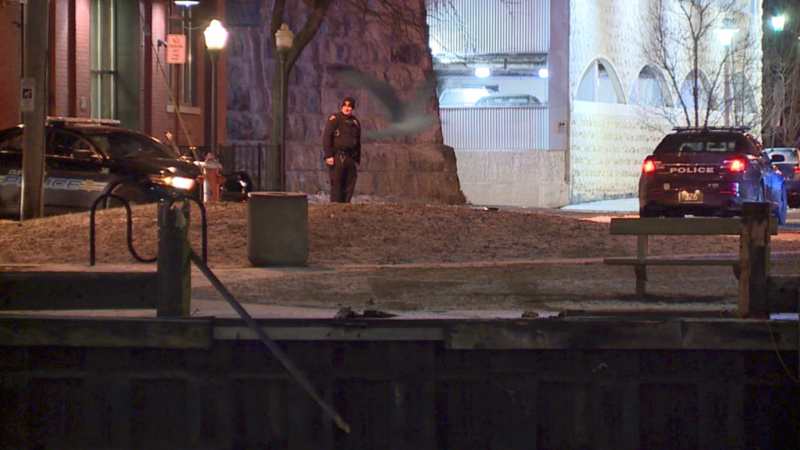 A police report indicates the officer believes the overdose was a result of heroin or fentanyl. According to a police report, Amesbury police officers Shawn O’Brien and A.J Pesci, along with Amesbury paramedics responded to the Sandalwood Pointe complex around 5:05 p.m. Monday. When they arrived they found a woman performing CPR on Hutchins as she lay on her back on the bathroom floor. Amesbury firefighters took over resuscitation efforts but soon pronounced Hutchins dead, according to O’Brien’s report. The woman performing CPR arrived at Hutchins’ apartment a few minutes earlier to check on her. When the friend couldn’t get inside the locked apartment she contacted a condominium trustee who opened the door. He and the friend found Hutchins hunched over in the bathroom and not breathing. Amesbury police Detective Sean Leary and a state trooper from the Crime Prevention and Control unit were called to the scene to investigate. It didn’t take long for Leary to find white powder on a nightstand next to Hutchins’ bed along with a cut straw next to it. “Two corner baggies of a white powder substance I believe to be heroin/fentanyl were located in the top nightstand drawer,” O’Brien wrote in his report. Word of Hutchins’ death quickly spread within a Newburyport District Court room Tuesday morning after Bjorlie told law enforcement officials and other defense attorneys of his former client’s fate. A few minutes later, Hutchins’ name was called by the court clerk and the charges formally dismissed after Judge Peter Doyle was informed of her death. In regard to the driving under the influence charge, on May 4, 2017, around 2 p.m. a witness saw Hutchins driving erratically on Route 110 before she pulled the car onto a curb near Route 110 Liquors. When Amesbury police Officer Craig Lesage arrived, Hutchins was nodding off, the car was still in drive but her foot was off the accelerator. Lesage quickly determined Hutchins was under the influence while behind the wheel. She was so confused that she had trouble untangling herself from her seat belt and then nearly fell on the ground. Lesage later found a prescription pill bottle on the front passenger seat containing a narcotic pain reliever, according to his report.